In 2008, The Conficker worm program (also known as the Downadup worm) replicated itself across computers around the world and is still alive to this day. It turns your computer into a spam machine and monitors your sensitive information through keystroke logging. This info is then sent back to its programmers for their use. This worm defends itself by disabling your antivirus software. This worm continues to open backdoors for future hostile takeovers. The Conficker Worm lays bare a truth about system security. No system is 100% secure. However, the good folks at Adobe do their best at locating and eliminating security issues as they arise. 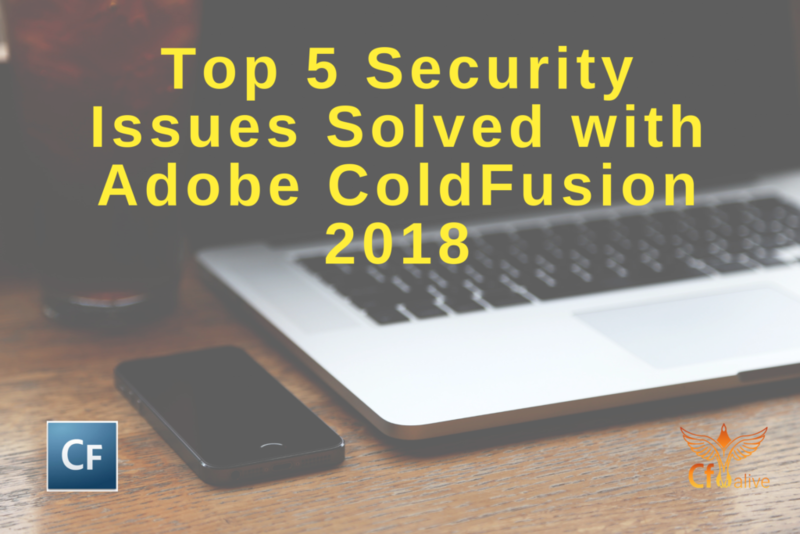 Adobe has found and addressed these top 5 major security issues moving towards the commercial release of ColdFusion 2018. 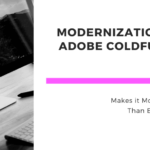 Since these issues have been properly dealt with, you can rest easy when transitioning into Adobe ColdFusion’s latest version. 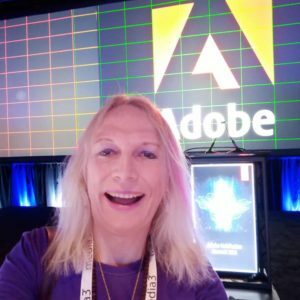 Before we get into what the security problems actually are, we need to understand Adobe’s degrees of importance. Adobe breaks down potential threats and security risks into two separate scales. This update resolves around targeted ColdFusion vulnerabilities, or which have a higher target risk, by exploit(s) in the wild for a given product version and platform. Adobe recommends administrators install the update as soon as possible. (within 72 hours). This update resolves vulnerabilities in ColdFusion that has historically been at elevated risk. There are currently no known exploits. Based on previous experience, we do not anticipate exploits are imminent. As a best practice, Adobe recommends administrators install the update soon (within 30 days). This update resolves vulnerabilities in CF that has historically not been a target for attackers. Adobe recommends administrators install the update at their discretion. The Adobe severity scale helps you determine the security impact of each vulnerability. Critical A CF vulnerability, which, if exploited would allow malicious native-code to execute, without a user being aware. Important A CF vulnerability, which, if exploited would compromise data security. This allows access to confidential data, or could compromise processing resources in a user's computer. Moderate A CF vulnerability that is limited to a significant degree by factors such as default configuration, auditing, or is difficult to exploit. Serialization and deserialization can be very convenient for programmers. However, deserialized data can be modified without using accessor functions if not used with proper cryptography. This leads to corrupt and untrusted data. If a developer begins the deserialization process with corrupted data, attackers can force the data and object to perform unauthorized functions. The major vulnerability for Deserialization of Untrusted Data is for Remote Code Execution. Remote code execution is the ability to trigger arbitrary code execution from a remote platform, such as another physical machine. XML stands for eXtensible Markup Language. It defines a set of rules for encoding documents into a format that is both user-readable and machine-readable. Even though XML focuses primarily on documents, the language is often used for arbitrary data structures such as those used in web applications. XML has become very common for the interchange of data over the internet. This vulnerability is due to improper dynamic loading of Adobe ColdFusion libraries. Dynamic loading is the process by which an application can attach a shared library to the address space during process execution. Dynamic loading also allows for function address lookup and subsequent detachment of shared libraries after calling upon the function. Previously, in order to dynamically load Java into ColdFusion, it required a third party Java Library platform such as JavaLoader. Since the advent of ColdFusion 10, CF has the native ability to load Java libraries without the use of a third party organization. ColdFusion automatically updates libraries every 30 seconds without requiring a restart. This is a great and convenient feature that comes along with ColdFusion. However, if there is an insecure library loading process, your CF apps become very vulnerable. This vulnerability can lead to malicious attackers to allow for arbitrary code execution and local privilege escalation. Privilege escalation is when an improper design configuration is exploited in order to gain elevated access to information not normally reserved for users. Cross Site Scripting (XSS) attacks are a form of code injection in which malintented scripts are injected into otherwise harmless and trusted websites. XSS attacks happen when an attacker sends bad code via web app to a different end user. Areas that allow these forms of attack occur wherever a web app allows user input within the output it generates without validation. This can lead to code injection, But, what exactly is code injection? Code injection is the use of a computer bug created via processing invalid data. An attacker then uses “injection” to insert malicious coding into a web app. This can completely change the flow of execution. Code Injection can lead to access denial, corrupted data, loss of data, and loss of accountability. Extreme cases even allow for a complete takeover of the hosting web app. “I was just on a web site browsing for specific content. The URLs used typical name=value query string conventions, and so I changed the value to jump to the page I wanted. And I made a typo and added a character to the numeric value. The result? An invalid SQL error message. Another XSS security vulnerability was corrected by Adobe. This particular error allowed for improper information disclosure. Information disclosure is when an application fails to protect sensitive information from unauthorized parties. Most types of information disclosure are not directly exploitable. However, these vulnerabilities allow attackers to gain more information to use in the event of a large scale long term attack. These types of issues arise when the source code of an application is exposed to the public. The severity of these issues are based on the criticality of lines of code exposed and how much as actually been made available. Source code disclosures may be caused by a number of ways including Unprotected Public Code Repositories and Incorrect MIME types. Sometimes web apps may disclose file names and paths allowing for the structure of web app to be revealed. This often happens due to improper user data handling, incorrect config of the web server, and exceptions on the backend. This is an active attack in which malicious parties send requests to a system in order to gain more information about it. Normally banner grabbing gains information that the attacker can use for exploitation throughout the course of the attack vice critical pieces of information. This can find known vulnerabilities of the server which may be used later. 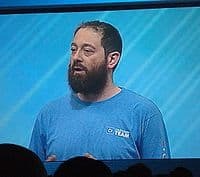 These 5 important issues were solved in April 2018 in the ColdFusion 2018 Beta. As more security issues arise and as Beta development continues, more located security issues will be addressed by Adobe. When CF2018 is finally released, the commercial version will be up-to-date with all previous security fixes from both the beta and CF 2016. Install the updates provided after appropriate testing. Run all software as a non-privileged user to minimize effects of attack. Remind users not to visit websites or follow links provided by untrusted sources. Educate users of the threats posed by hypertext links contained in emails or attachments especially from untrusted sources. Fortunately for developers, there are ways to prevent these types of acts along with Adobe’s remedy releases. By following best practices, you can minimize initial attacks. This sounds like a no-brainer, but failure to understand your platform can lead to gross amounts of human error. Human error can lead to an obscene degree of improper coding and that carries over to security concerns as well. By writing secure code and implementing security in the design, you can minimize the amount of attacks. However, if the attack does occur and extra level of cryptography or security will minimize the effects of the attack. Be careful to maintain proper code design. When coding is complete, be sure to use proper security testing to make sure your system is as secure as you believe it is. Along with proper testing, use security tools that will further hamper malicious attacks on your software. Sometimes, an extra layer of security will do the trick. Compliances are set for a reason. Make sure your codes are up to snuff when publishing to catch easily preventable attacks. Cybersecurity is an ever-changing battlefield. Stay up-to-date on current threats and the countermeasures for them. Continue to train yourself and your team for the current standards for program developing. 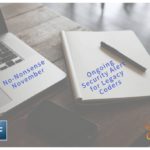 When ColdFusion releases new security updates…UPDATE. Many web app attacks could have been easily prevented by keeping your platform updated. No need to undergo a full security troubleshoot due to simple complacency. Stay vigilant with your security updates. Remember, no system is 100% secure. But, that does not mean you cannot stay prepared for what may come. These 5 corrections to security vulnerabilities are just a few of the great reasons to keep up with the release of ColdFusion 2018. 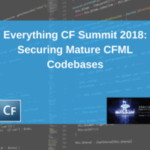 The more secure your ColdFusion platform is, the more secure your code will be. Maintaining security the right thing to do for your web apps, clients, and code. If ever you should experience any unlisted security issues with ColdFusion, immediately inform Adobe. This is will prompt them to start work as soon as possible in order to secure our CF development future. Along with Adobe, tell the CF community. Perhaps other users are experiencing similar problems. The CF community is close knit and may have solutions to your issue. Have you experienced any of these security vulnerabilities? How were you able to overcome them? Join us in the comments below. The only form on cloud pricing that is available currently on AWS where you can pay by the hour – They will soon have CF 2018 on AWS too. 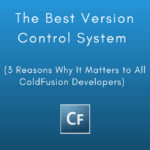 Why is ColdFusion Better Than Other Programming Languages?